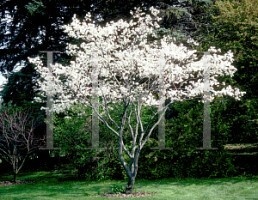 An ornamental spring blossoming tree/shrub which attracts a variety of native bee species and honey bees. 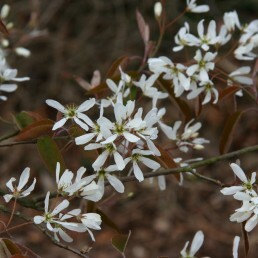 A deciduous shrub or small tree with beautiful early-flowering spring white flowers that are slightly fragrant and appear before the leaves. Its dark green leaves change to orange-red in autumn. 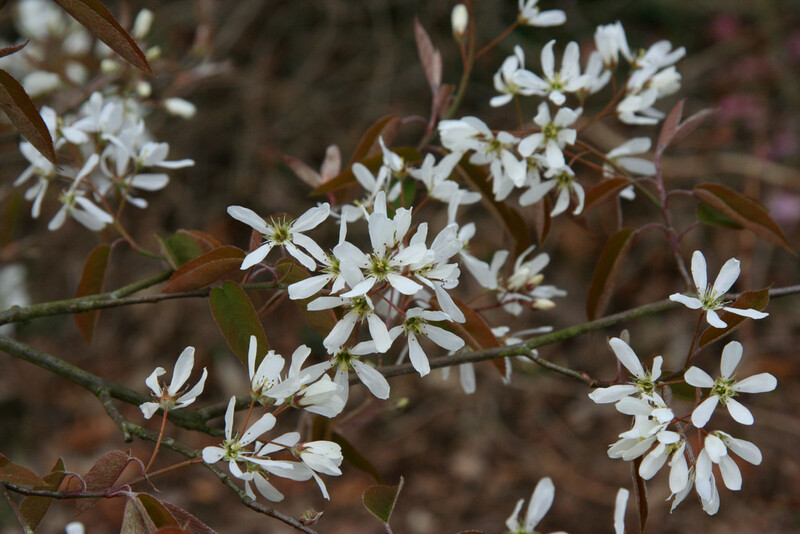 Flowers are followed by purple berries which are edible and can be used in cooking.